Graeme is a Director of Laulon Management, Education and Technology Solutions, a Senior Research Associate (Honorary) in the Graduate School of Education at the University of Melbourne, and an Associate of the Assessment Research Centre (Melbourne University). He has extensive experience in facilitating strategic leadership, project management and using assessment, survey and qualitative data to inform and drive school improvement initiatives. 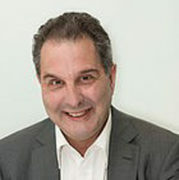 Graeme was the Director, Curriculum and Assessment/Operations Branch, Board of Studies, Victoria (1991 – 1993).